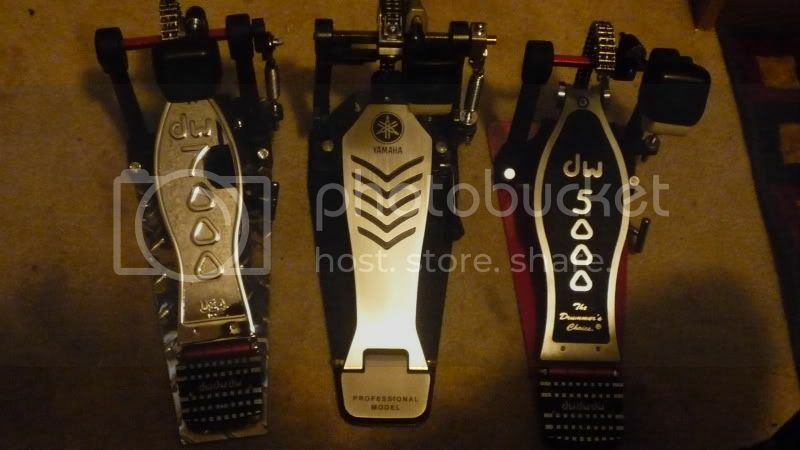 the pedal on the left is a custom made pedal. then i had the pedal board chromed. and thats it pretty much it. the other two have matching hi hat stands i'm a jerk when it comes to non-matching pedals. Looks like the DW's will tag team the Yamaha in a heartbeat lol. Good work! I can see the symmetry between them. Attention to detail. I like that!